Pink is one of the trendiest brands when it comes to shoes. The name of the brand attracts itself as Pink is favorite color of most women out there. And when we look at the collection of the elegant, comfortable and stylish shoes; it’s a heaven for a woman. This is very reason Pink is very famous and many girls want it so badly. Well here is a good news for all those who love this brand. All these pretty and tempting shoes are on Sale for you! Many shoes are on sale up to 50% off. This is a brilliant chance for you to avail as such opportunities should be greeted very well. And the best part about it is that you don’t even need to go and shop, you can order it online while sitting in your lounge sipping coffee. This is an awesome thing as buying something with just a few clicks saves time, money, and all your extra effort that you might had to do otherwise by visiting an outlet yourself. Just visit www.daraz.pk/pink-studio/ and enjoy these amazing sale offers. There are various categories in the sale as well. You can select shoes with 20%, 30%, and 50% off. This is good as you can spend depending upon your budget and need of shoes. The styles of Pink are so chic and lively that you will have a great feel under your sole. The materials used in the manufacturing of these shoes are durable and reliable. You can have full faith in these shoes. Mostly the styles on which you can avail sale are flat ones. 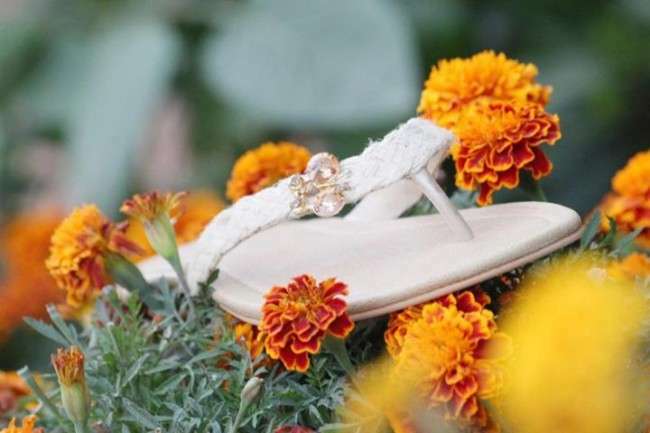 Flat shoes are always in fashion as they not only give you an ease to carry, but also increase your capacity to carry the pair of shoes for longer time span. So what are you waiting for? Just visit the above mentioned website and enjoy all the beautiful shoes and fill your life with more color; as it is said that “One pair of shoes can change your story”! Take a chance and be Cinderella by wearing Pink on next gathering you are invited to!